We are often asked how we can possibly provide a complete tattoo training course in just 5 days, well we have been doing it for 15 years, we have trained doctors, lawyers, nurses, renown artists, circus performers, jewelry designers, graphic designers, models, male strippers, computer salesmen, bikers, professional wrestlers and even famous comedians. 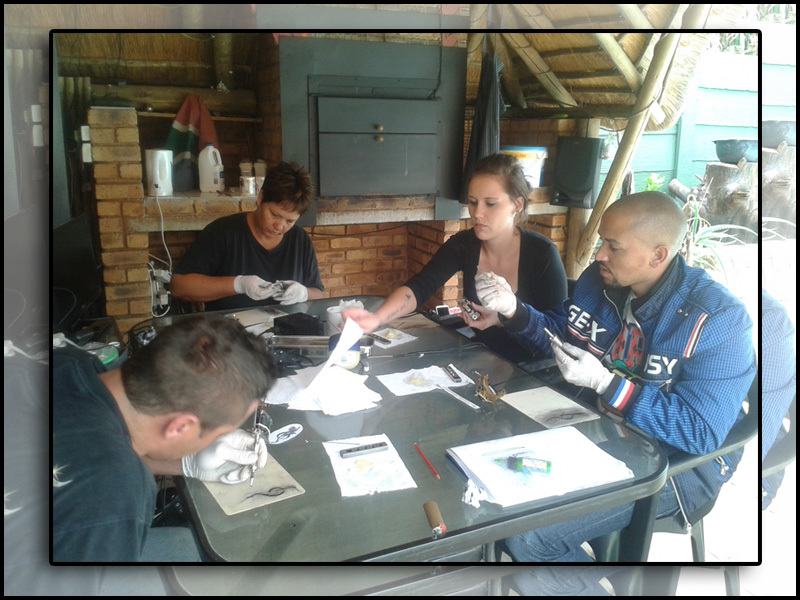 We started our Tattoo Training Courses in South Africa in 2001 and have refined the course content. We have trained student that have opened studios all over South Africa, United Kingdom, Angola, Lesotho, Swaziland, Namibia and others. So whether you want to open your own business or just earn extra money or explore your creative side with a new art form our course is for you. For 14 years we have been training Students who have opened their own businesses all over the world. Our Course is not just how to tattoo but how to run a successful tattoo studio, others claim to do the same but we can assure you their is no other course like ours. Our Master tattoo Trainers is a legend in South Africa and has trained students from all over the world. We organised all the technical skills into a 36 modules of intense study, as tattooing is more than just having knowledge about how to do the tattoos but more importantly training the hands, eyes and feet to do the process smoothly and efficiently. Once the technical aspects are understood and the practical aspects of being a technically proficient tattoo artist are mastered it is then time for the artistic element of the tattoo to be studied. We have developed a 5 day training program that includes all these into an easy to learn program divided into 33 basic steps. 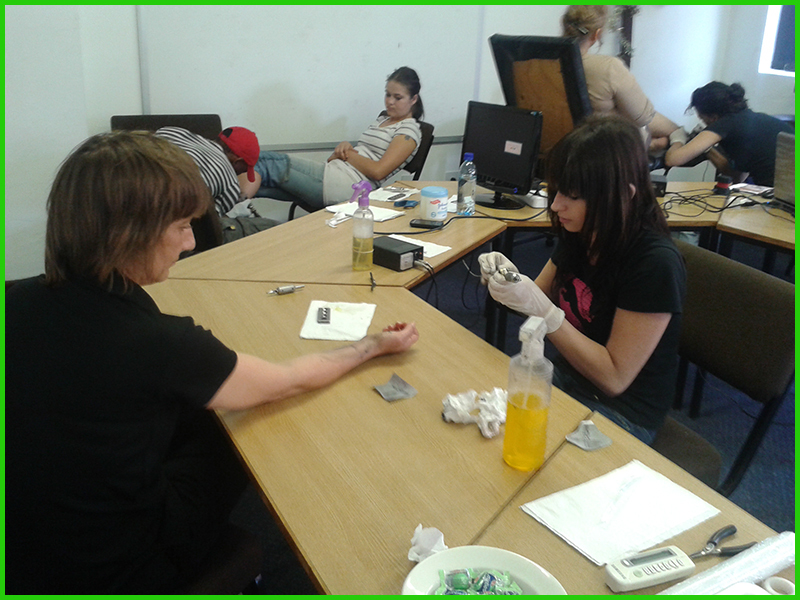 The picture above are some students being trained in East London, It was one of the best facilities we have had from a hotel, our students tattooed many of the staff and they can’t wait for us to come back again.